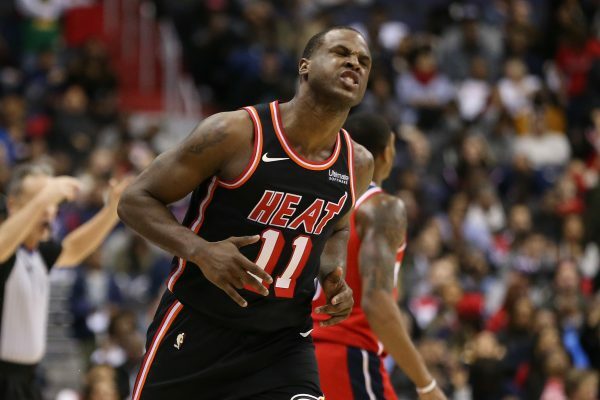 In an interview with Sports Illustrated, Miami Heat guard Dion Waiters issued a strong response to the people that have criticized his weight and the big four-year contract the Heat gave him in the summer of 2017. “The internet is a lose-lose situation,” said Waiters. “Yeah, I blew up. But people don’t see the other side of it. They don’t talk about how I played on a broken foot. They don’t know about the everyday grind. Waiters hasn’t played in an NBA game in nearly a year, with his last appearance coming on Dec. 22, 2017 against the Dallas Mavericks. After leaving the game against the Mavericks due to an ankle injury, the Syracuse University product then opted to get surgery on his left ankle in January. In the interview, Waiters stated that he gained 15 pounds after the surgery, which would explain why he showed up to training camp this season looking a little out of shape. The 27-year-old originally signed with the Heat in the summer of 2016 and went on to average 15.8 points, 3.3 rebounds and 4.3 assists per game during the 2016-17 season. He re-signed with the Heat on a four-year, $52 million deal in 2017, but his averages dropped during the 2017-18 season to 14.3 points, 2.6 rebounds and 3.8 assists per game as he played through a stress fracture in his left ankle. Waiters could be close to making a return as he was a limited participant in Tuesday’s practice. Waiters’ return could be big for the Heat, especially now that starting point guard Goran Dragic will reportedly be out for an extended period of time. The key for Waiters once he returns will be staying healthy. So far during his Heat tenure, he has only played 76 of a possible 193 games. The Heat currently have a record of 13-16, which is good enough for ninth in the Eastern Conference, and are just a single game back of their division rivals, the Orlando Magic.